Cobra Golf is looking to speed up your 2019 rounds. Going to great lengths to make their latest range of hardware the “ULTIMATE FORMULA FOR SPEED.” Here we take a look at the new King F9 line of Drivers, Fairway Woods, Hybrids and Irons, featuring the brand’s revolutionary Speedback technology. Cobra is known for pushing the boundaries of innovation and style. Producing hardware and apparel that help golfers to truly stand out on the course. 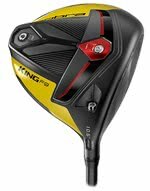 With the King F9 range, the brand has stuck to this winning formula, producing a sensational driver that successfully combines an aerodynamic clubhead with a low centre of gravity to make it the fastest and longest Cobra Driver ever. Inspired by racing cars and aerodynamics, Speedback technology features the first driver clubhead to combine a raised skirt, raised tail, raised and rounded crown, as well as a rounded frontal perimeter to reduce drag for maximum club speed. The King F9 Driver and Fairway Woods all feature a CNC milled face, delivering optimal performance with a precise manufacturing process. CNC milling is five times more precise than conventional hand polishing. The King F9 Speedback is golf’s first fairway to feature a CNC precision milled face. It is further enhanced by a forged 475 stainless steel insert to deliver Cobra’s thinnest and hottest fairway face to date. The KING F9 SPEEDBACK is golf's first fairway to feature a CNC milled face. A forged 475 stainless steel insert is CNC milled to deliver our thinnest, & hottest fairway face ever. Beyond Speedback technology, the F9 fairway also utilises Baffler Rails, lowering CG by 10 percent to improve ball speed, stability and launch from any lie. A 10% larger clubhead increases MOI and forgiveness, while a lower toe results in a square leading edge, giving golfers a better opportunity to align the club in a similar way to an iron, for increased accuracy and precision. The King F9 Speedback Hybrids employ the same dual rail design on the sole. A larger clubhead profile increases MOI, while Baffler and Speedback technologies optimise club speed and lower the CG for the best combination of distance and speed in a hybrid. The hybrid is also available in a One Length option. Engineered to match a 7-iron length, lie and weight, the club’s low CG and high MOI will produce higher launching trajectories and faster ball speeds. Cobra isn’t afraid to push the limits when it comes to game-improvement irons. 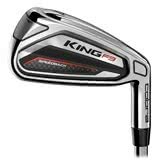 The King F9 Speedback Irons definitely illustrate their dedication to making the game better for all players. Featuring a low CG and high MOI, these irons are geared to generate impressive ball speed and forgiveness. Available in a standard or One Length option, you can expect to find more distance, stability and higher launch with every swing. The Cobra King F9 Speedback range features the brand’s incredible Cobra Connect technology. Add the power of data to your game and improve your scores up to 36.4 times faster than the average golfer. Powered by Arccos, Cobra Connect analyses every aspect of your game and also provides you with advanced GPS distances to any point on the course. Helping you to make smarter shot decisions. So what are you waiting for? Enhance your 2019 rounds with Cobra. 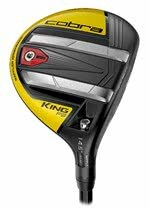 The entire King F9 line is available to pre-order at GolfOnline from January 11, 2019.